At Rivers and Ridges we work hard to create a perfect tailor-made holiday for you. Through our network of strategic partners we are able to offer a range of adventure activities throughout our destinations across India. For the lone travelers and the frequent back packers we promote a variety of places to visit, things to do and people to meet. Travel to not so famous yet unique places in the world and meet the most amazing people who would tell you about the life they lead. It’s a view with a change of for all those who want to explore above and beyond the known. Call us with your travel dates and places of interest and we will make sure that you get an experience worth sharing. 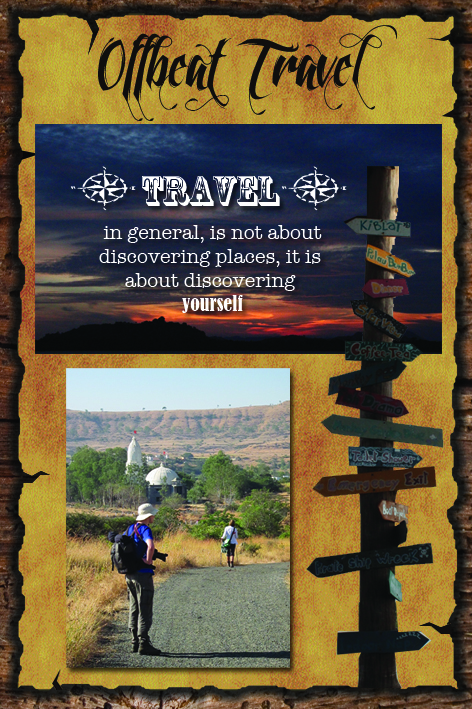 Follow us on www.facebook.com/riversandridges to know more about our offbeat tours. Watch this link for more details on places of interest that we would post every month.